Everyone grows up with memories of the special days of the country they are born in. If you move away from your birth country, these days can take on an extra significance. There’s always the little pull on the heartstrings of remembered ceremonies and traditions. Anzac Day was always an important day of remembrance in my childhood, with dawn services happening across the country. It’s a time to stop and reflect on the servicemen and women who served in both war and peace time. Originally it was about commemorating lives lost in Gallipoli during World War One, but now covers all Australian and New Zealanders killed in military operations. 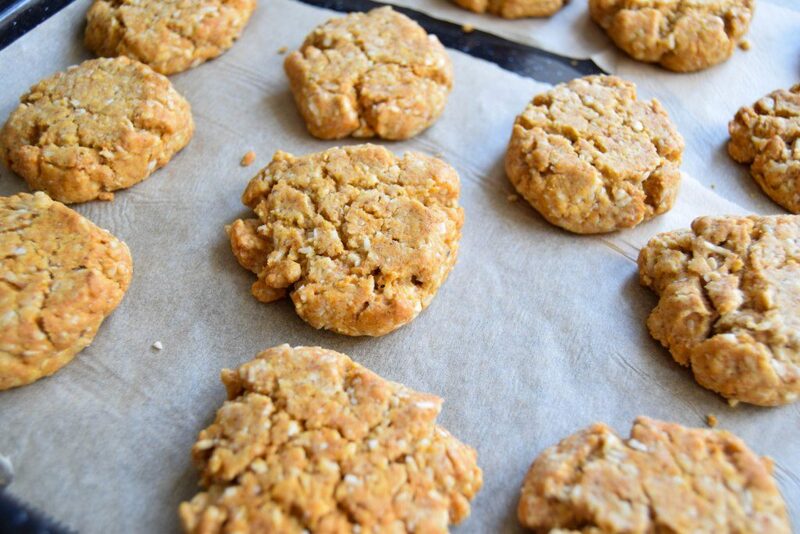 Another big part of Anzac traditions is the Anzac biscuit. I actually eat these throughout the year as they remind me of home, but Anzac Day itself is a good reason to bake a fresh batch. 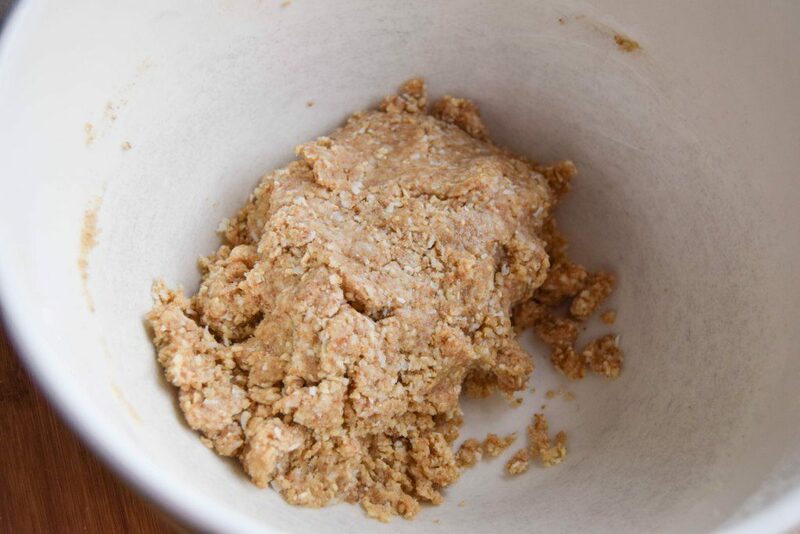 Traditionally they are combination of flour, oats, coconut, butter, sugar, golden syrup and baking soda. They have a delicious sweetness and I prefer them with a chewy centre and crispy edges. 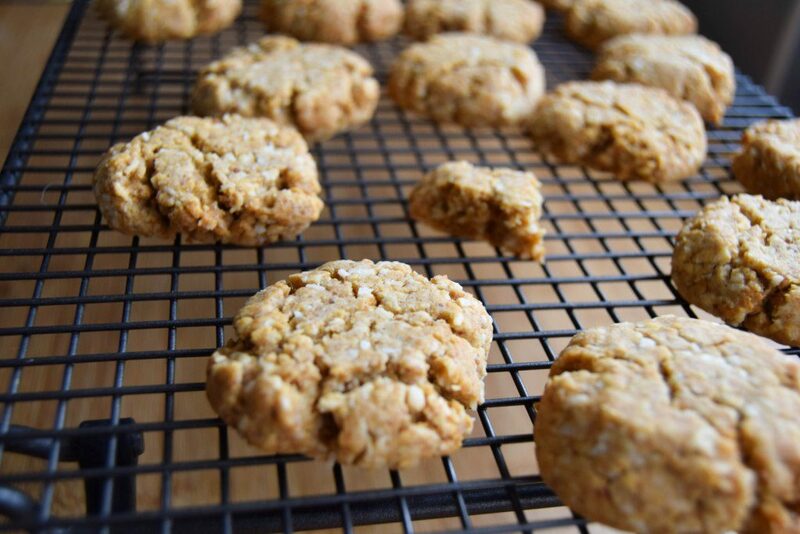 There’s a little bit of mystery around the origin of the Anzac biscuit. We were often told growing up that these biscuits were good for energy and often sent out to the troops. 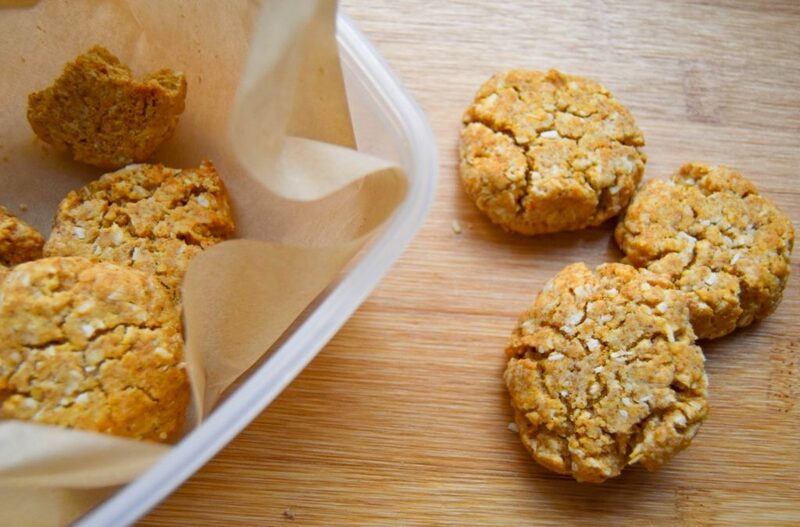 It may be that there was a dry oat-based biscuit that troops were given, but the reality of the more traditional version is that they were baked back home in Australia as part of fundraising efforts for the troops. They were a regular fixture in my childhood and one I carried on making after I moved to the UK. They are also incredibly easy to make. There’s no creaming of butter involved or waiting for the mixture to cool in the fridge before shaping. You just scoop up little spoonfuls and press lightly on the tray. My own version is a gluten free one as I can’t eat a lot of wheat, but I don’t want to miss out on the pleasure of the odd Anzac biscuit. I’ve used gluten free oats, but any other flake could be substituted. 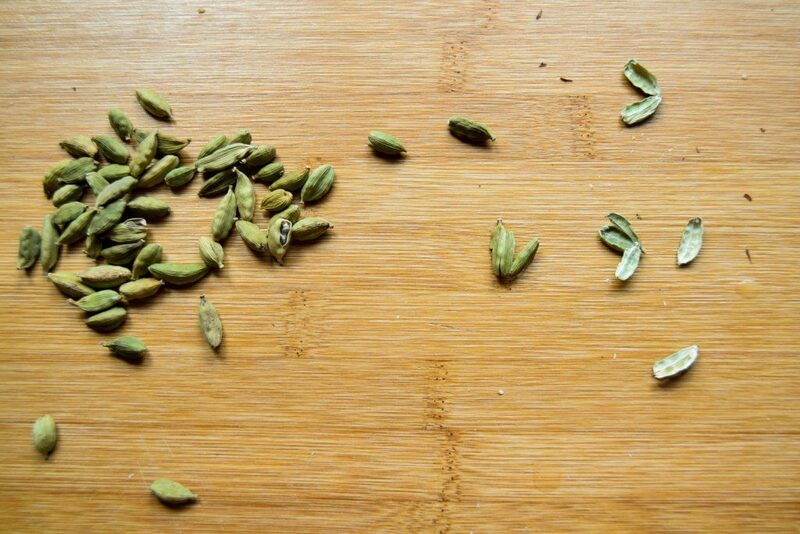 I love a little hint of cardamom in baking – it adds a warming touch and is a perfect partner for the honey that I prefer to use over golden syrup. 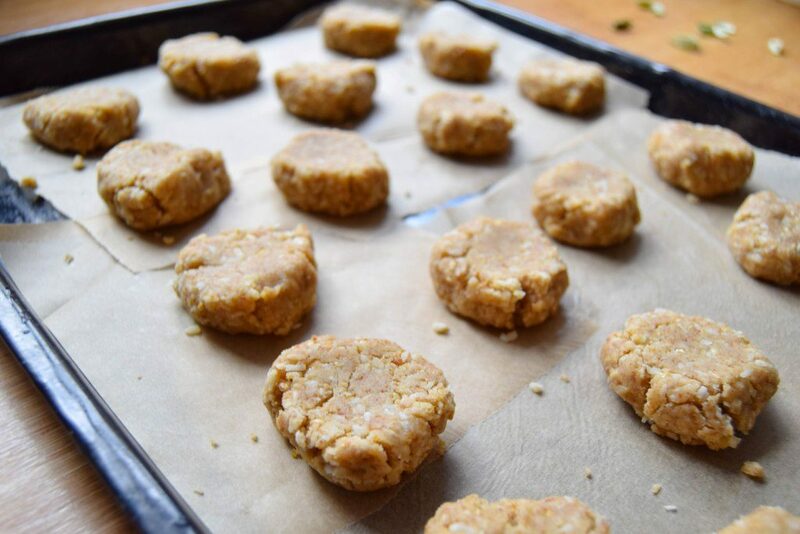 If you’re looking for a quick, easy and tasty biscuit recipe, then this is the one for you! As you pop one in your mouth don’t forget to stop and remember the men and women that are the namesakes for tgese little mouthfuls. 1. Preheat the oven to 160°C (140°C for fan oven) and cover a baking tray with parchment. 2. Sift the flours into a bowl. Add the oats, sugar, coconut, cardamom and salt. Stir everything together. 3. 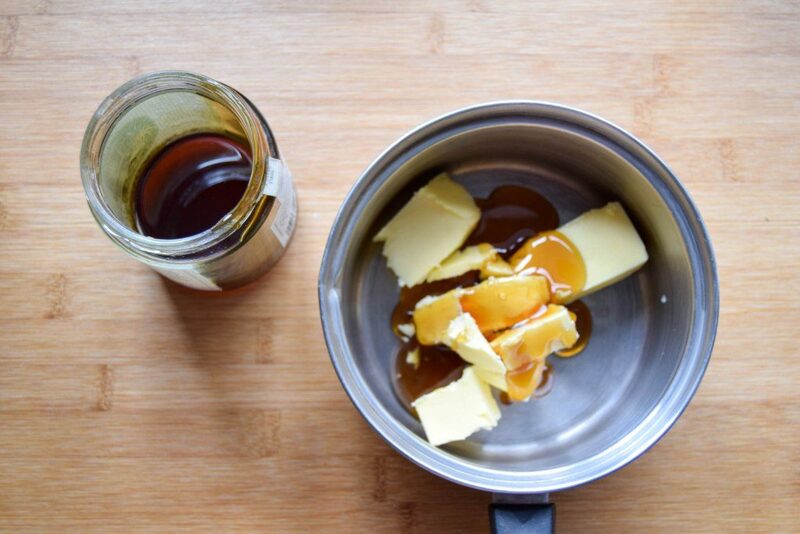 Put the butter and honey into a small saucepan, before melting together over a gentle heat. 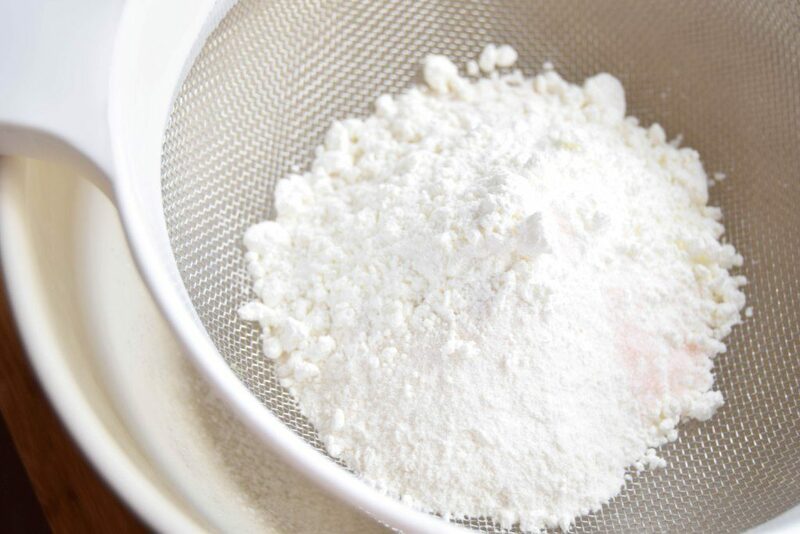 Once the butter is fully melted, add the baking soda and mix together well. It should foam up and have a lovely honeycomb scented smell. You want to make sure the soda is completely mixed in so there are no lumps left. 4. 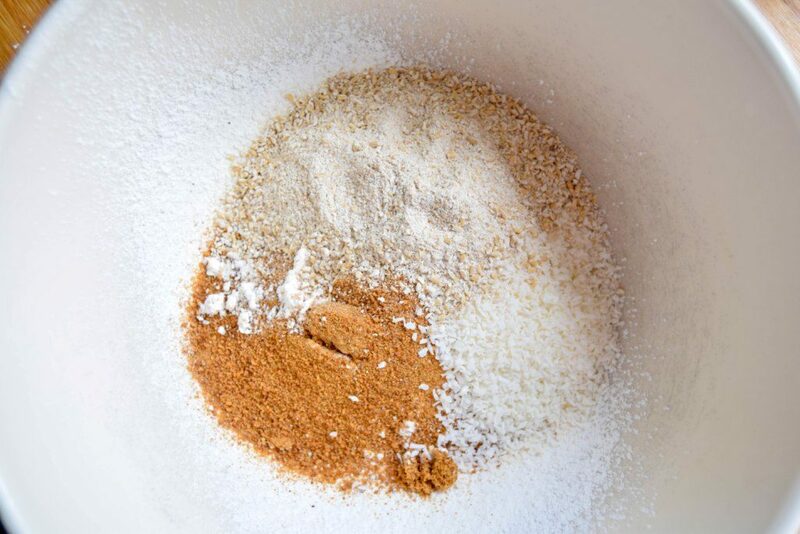 Pour the golden honey butter liquid over the flour and mix together. 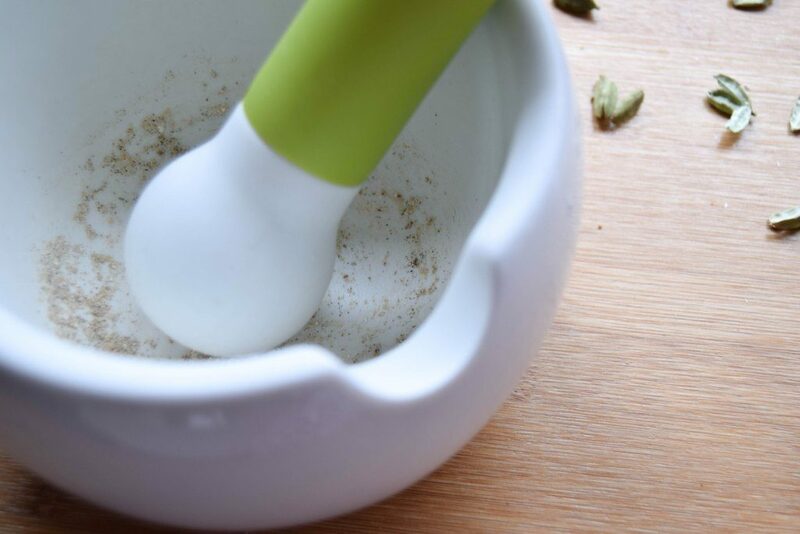 Bring the last bits together with your hands to make sure everything is completely mixed. It should be a little damp and stay together easily. 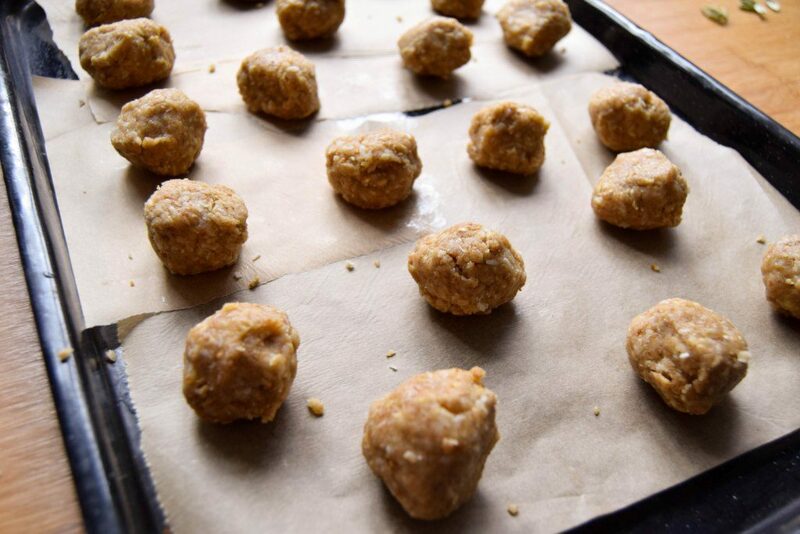 Shape into balls just smaller than a tablespoon and place on your prepared tray. Flatten slightly, either with your fingers or the back of a spoon. 5. Pop in the oven for 15 minutes until lightly golden around the edges. Take the biscuits out of the oven and leave on the tray for about 5 minutes. Take the biscuits off the tray and let them cool on a rack. The biscuits will keep for up to 5 days in an airtight container.